Lacation : PT12990, Putra Indah 3B, Bandar Baru Nilai, 71800 Negeri Sembilan. Hotel Seri Nilai is tastefully furnished with 6 varieties of rooms. Facilities provided by us ensures a quality stay for guests as our hotel is equipped with free wifi, air conditioner, parking and etc. Centrally located in Bandar Baru Nilai, Hotel Seri Nilai allows you great access to central attractions of the area such as GSC Palm Mall, Linton University College, Masjid Putra Nilai, Nilai Square and Sepang International Circuit. 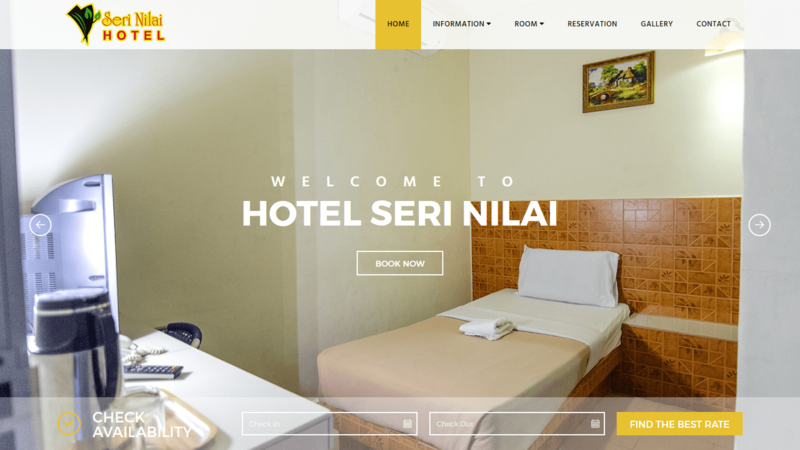 Whatever your visit is, Hotel Seri Nilai is a perfect choice to stay while you are in Nilai.